The foundation of ComicBook.Com is comics. While we love to cover all aspects of pop and geek culture, our roots lie in the comics community and the plethora of characters and stories that have sprung from it. If you speak with anyone in the comics community about what has made the medium successful in North America, you’ll quickly discover one answer that stands far above the rest: local comics stores. They are the bedrock of comics in the United States and Canada, supporting fans, communities, and conventions with open doors and a dedicated staff. This year on ComicBook.Com we are highlighting this important aspect of comics and culture by taking a look at one local comic store each week. These are stores that embody what it means to support culture and community. We hope you can visit some of them throughout 2017. When you live in the United States, you can take a lot for granted. One of those things is access to comics. Almost everyone in the States has a comics store within driving distance of their home and those that don’t can easily access mail order comics. Every Wednesday throughout the year new releases are delivered like clockwork. That’s not true for much of the rest of the world though. 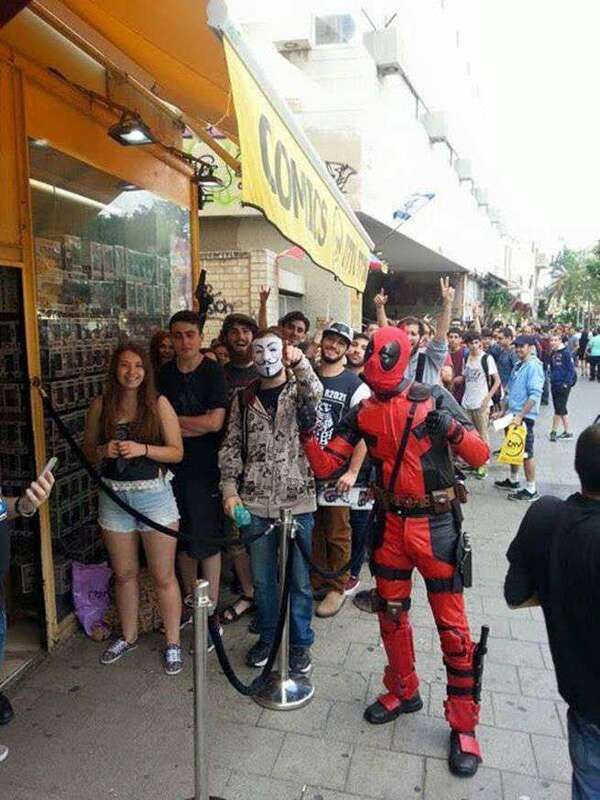 15 years ago in Israel there were no comics stores to be found throughout the entire country. 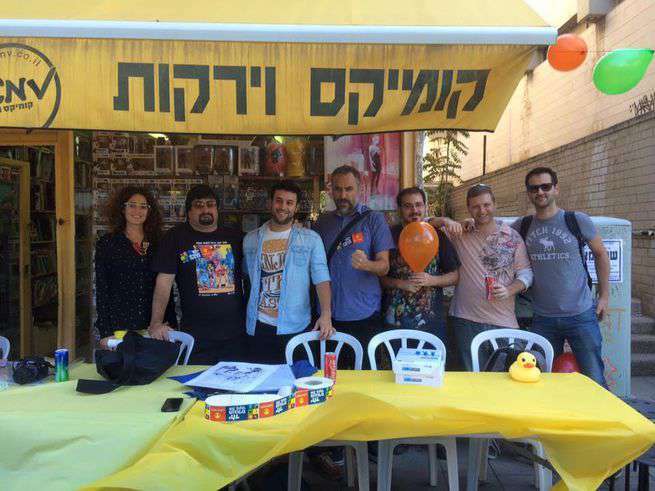 That’s why Danny Amitai and Yuval Sharon founded their store Comics N’ Vegetables. 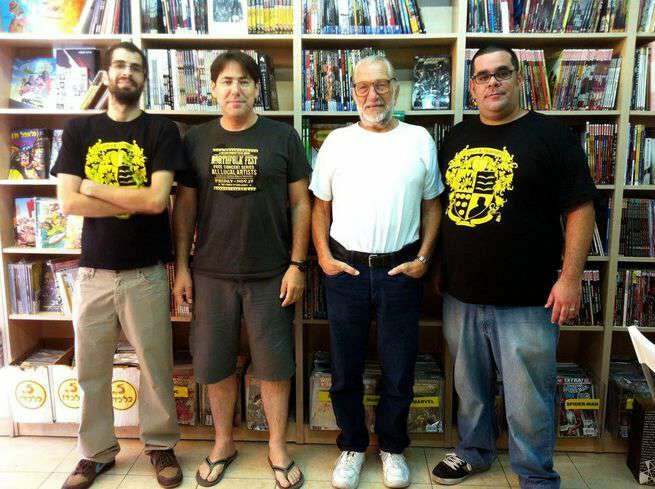 Together they set out to bring comics to Tel Aviv, making them both accessible and affordable. It was no easy task, especially not in 2001. 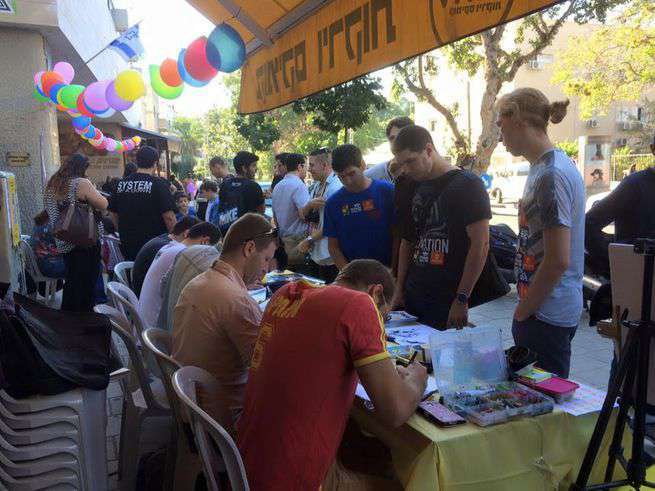 “Me and my partner love comics and had to find all kinds of strange and different ways to get them into Israel,” says Amitai. They were both big comics fans, but found themselves paying outrageous prices and waiting for months to receive new issues. Even when they did arrive, Amitai and Sharon say they bought what we could and not what we really wanted.t was a bad situation to be in as someone already reading the medium, and it made finding new readers almost impossible. Rather than pirate issues from the internet or give up altogether, they used their experience of importing comics and discovering great reads to make it easier for those around them. And that’s exactly what they did. Within months they were working hard to get customers all of the comics they wanted to read and at a fair price. 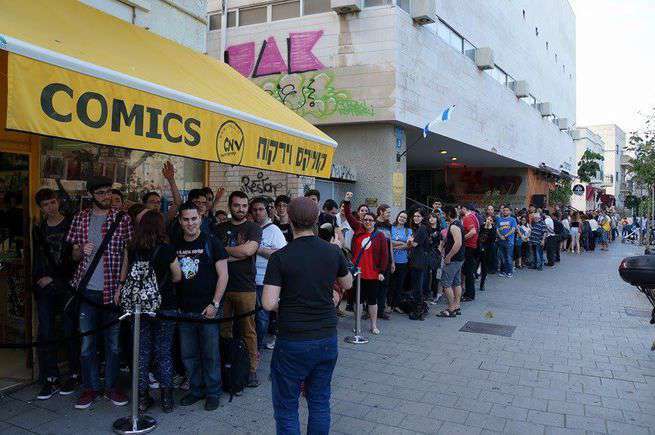 There was one major difficulty beyond getting comics to Tel Aviv. 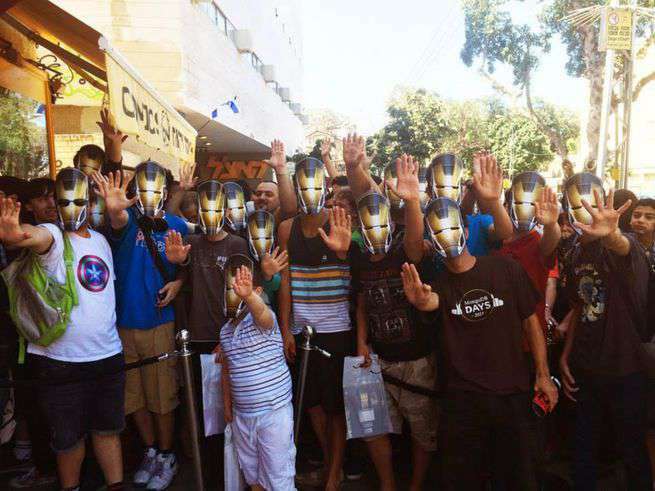 The lack of availability meant many Israelis didn’t understand what comics were about, believing them to just be for kids. In order to combat this image and build their own customer base, the partners opened stands in malls across the country. They focused on showing people of all ages why they loved the medium and what it could offer both as entertainment and art. That’s how Comics N’ Vegetables was founded, with hard work and passion. How did Danny and Yuval transform Comics N’ Vegetables from a scrappy startup to the heart of Israel’s comics scene? Read ahead to find out. When Comics N’ Vegetables first opened they only sold single issues. That has changed radically in the intervening 15 years. Collections quickly became popular and soon grew to be 80% of their business. 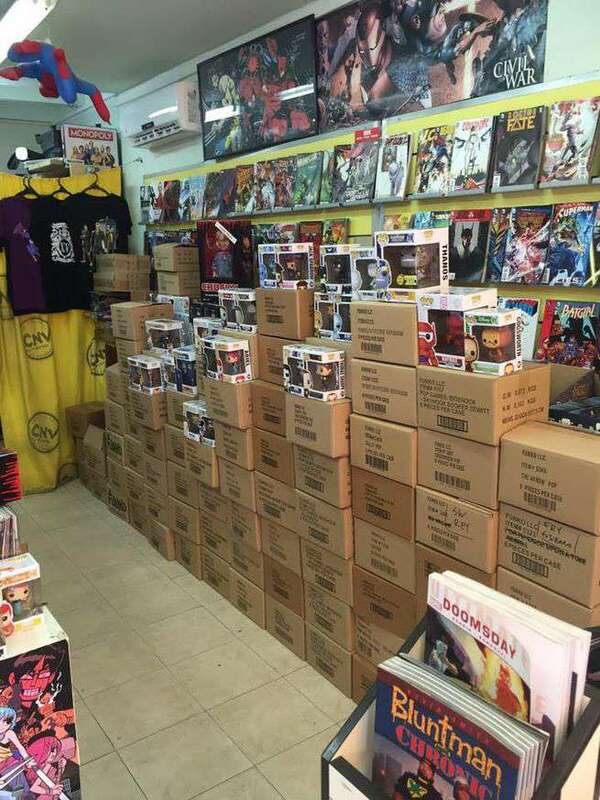 From there the store expanded their offerings to include merchandise as well as comics. Now comics account for 60% of business, while figures and other accessories comprise the rest. That continual expansion of both stock and business shows the love of comics and geek culture to be an international norm. Their reader base has changed as well. When Comics N’ Vegetables first opened 90% of their customers were men; now 40% of those shopping at CNV are women. It seems clear that people everywhere want to read Saga and have a Spider-Man figure keep them company at their desk. Amitai expects to see the store continue to change as well. More young people and women in Israel will become interested in what they sell. 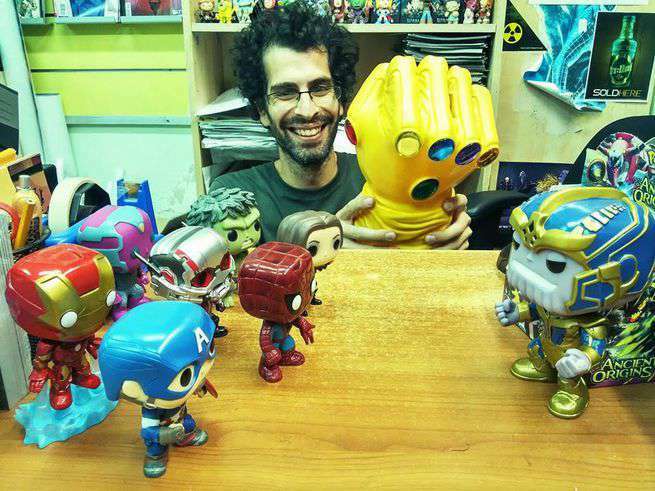 At the same time he expects merchandise and comics collections to both continue increasing in sales. That may come at the cost of single issues, but due to shipping and customs new collections make for smarter investments (and more satisfying reads). 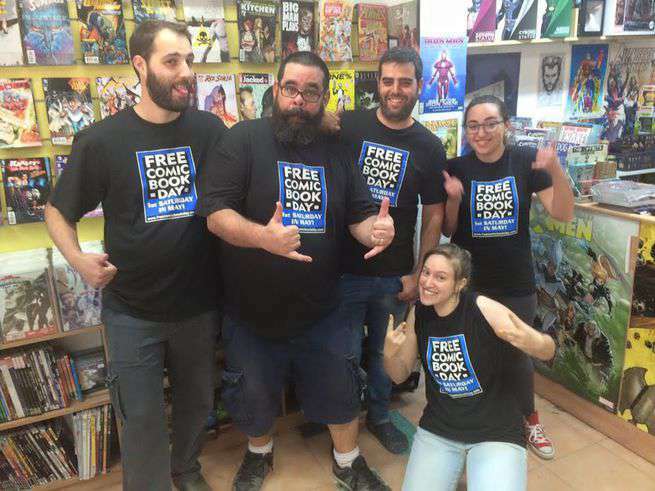 It was love for comics that first brought Comics N’ Vegetables into being, and it’s love for comics that continues to drive both the stores and its philosophy. Amitai doesn’t beat around the bush with customers. He will sell fans anything they want, but he will be honest with his own opinions. The flipside of that is the store doesn’t let sales alone dictate their orders. When they care about a new comic or creator, they order a lot and focus on hand selling and recommending the comic. Amitai says, “Our store is a place where we sell moments. You will remember we are not just here for the money.” When you walk in the doors of CNV, you know the people inside love comics and will always be prepared to share that love with you. So many things about Comics N’ Vegetables are obvious after learning just a little bit about the store. 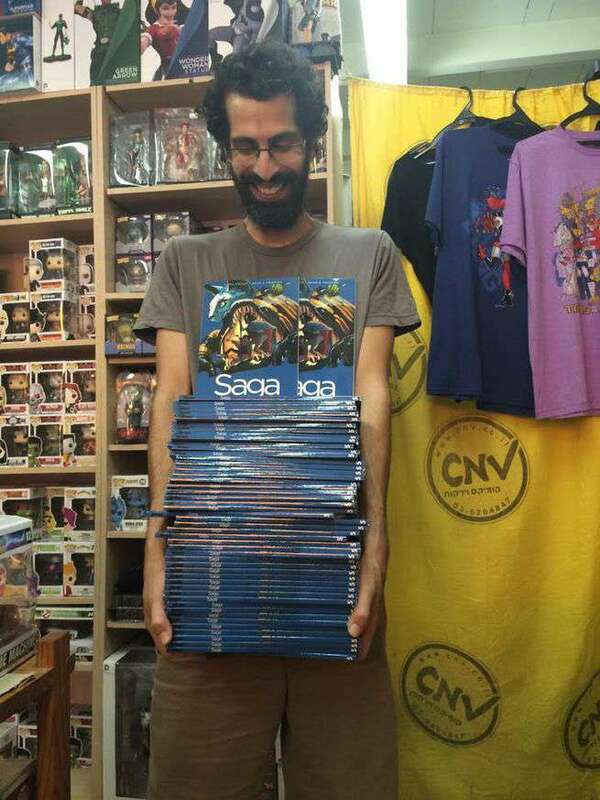 Amitai, Sharon, and their employees have brought both comics and their love of the medium to Israel. Together they’ve transformed a business with no immediate customer base into a very successful shop loved by its patrons. Based on hard work, commitment, and passion they have made their dream into a reality for an entire country. But there’s likely one lingering question for American readers: Why the “N’ Vegetables” part of the name? “N’ Vegetables” is a Jewish phrase from The Passover Haggadah that essentially means “etcetera”. So when you think “N’ Vegetables” think about action figures, miniatures, and all of your other favorite things that accompany comics. Click ahead to see full details and photos of Comics N' Vegetables.